Very few issues are more topical and heated than this, the issue of marijuana in Jamaica. I'll provide you a bit of history but also share with you the current situation here. Updated! On April 15, 2015, The Ganja amendment law came into effect. Basically, after this day persons found with two ounces or less of marijuana will no longer be subject to arrest or detention by the police. New! Check out my 'Ganja in Jamaica Q&A! Otherwise called Ganja, Marijuana was brought to Jamaica in the late 1800's by the indentured East Indian labourers. They were brought here to work on the plantations after slavery was ended. 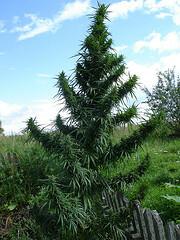 Today, although it is illegal in the country, Marijuana's cultivation is still very much alive and well. In fact, from all indications, it is perhaps at an all time high. Should Ganja Be Fully Legal In Jamaica? Click Here to share in the hot discussion or Read Feedback from others like you here. Every now and then we hear reports of "Kingfish", a special police unit, intercepting large shipments or destroying crops and seedlings. By the way, the Jamaican environment and climate is considered a perfect place for the plant to grow. 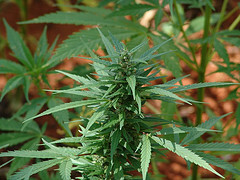 Now, contrary to popular belief, the use of marijuana in Jamaica is not unique to Rastafarians. Before Rastafari began, ganja was used by herbalists in Jamaica as a medicine in teas. It was also mixed with tobacco for smoking. Rastafarians considers Ganja the "wisdom weed" as its use helps one to gain wisdom. Rastafarians also use it as a part of a religious rite and as a means of getting closer to their inner spiritual self. Rastafarians also say it was found growing at the grave of King Solomon in the Bible. More on religions in Jamaica. 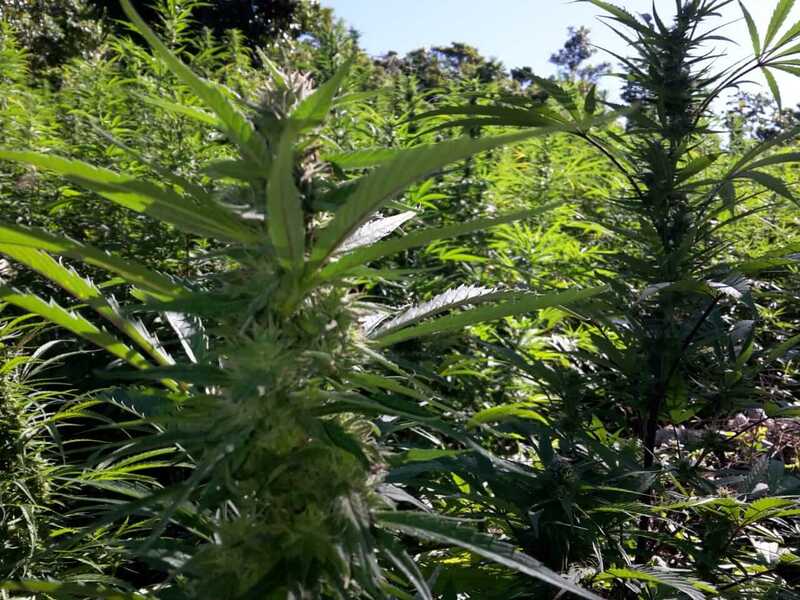 Back in 2001, a government commission recommended that marijuana be legalized for personal use by adults -- A move, it was anticipated that the government would have endorsed despite opposition from the United States, which has spent millions to help eradicate the crop on the island. But today, we are still in limbo on that. So, How strict are laws relative to use of Ganja in Jamaica today? "I know ganja is illegal there too but according to Wikipedia it's often unenforced. Is this true or not?". "You don't want to be caught with it. You are liable to be jailed. True, the police are a lot more lenient these days if you have a only a 'spliff', but I would suggest you not have them use their discretion. I guess police can't venture everywhere, every time, so you will have some room to really "light up". And by the way, the rastas, who are advocating it to be legal, do smoke it like crazy here! but they will not do it around the lawman. The rest of us don't really mind it." Have Questions About Ganja Use In Jamaica? Click Here to see the top questions and answers we posted about the use of ganja in Jamaica. "I was just in Jamaica in January... We didn't see too much law enforcement around anywhere. However, we were warned that if you do get nipped for purchasing or possessing marijuana then it won't be pretty. Imprisonment is the penalty for possession. Jamaica is probably the last place where I would want to spend time in jail. The Frommer's guide to Jamaica says that you don't want to experience first had Jamaica's penal system!" "People were not smoking all around us. We were approached a few times to purchase marijuana but it was subtle. Definitely no bus drivers pulling over to smoke a joint. But that may also depend on where you are going and where you are staying too. We stayed at the Sandals resort and they have a pretty big reputation to uphold." So again, the question, Do you personally think Marijuana should be legal in Jamaica? Share your views here! Make sure you don't miss these other informative related pages . Back to Top of marijuana in Jamaica. Should Marijuana be Legal in Jamaica! There are several views. What if it is? What if not? Will it make any difference? How would Jamaica be impacted? Don't Legalise Marijuana In Jamaica!